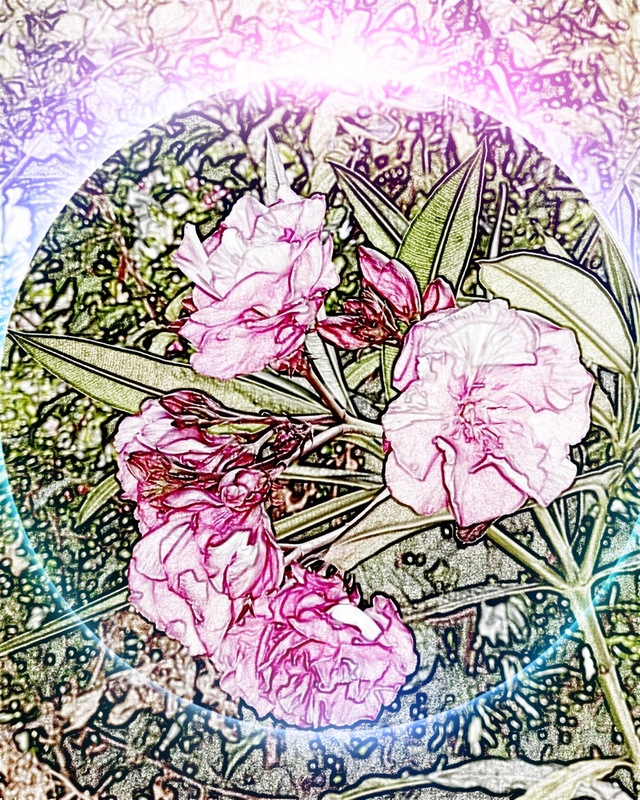 I used the uSketch app to edit this photograph of a Castor Oil plant. 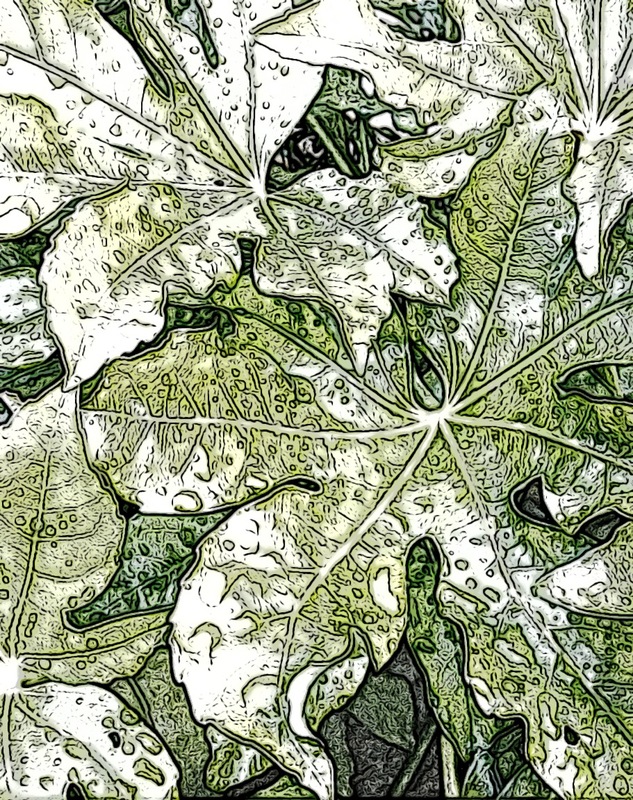 I like the different shades of green and the way the app delineates the veins and texture of the leaves. 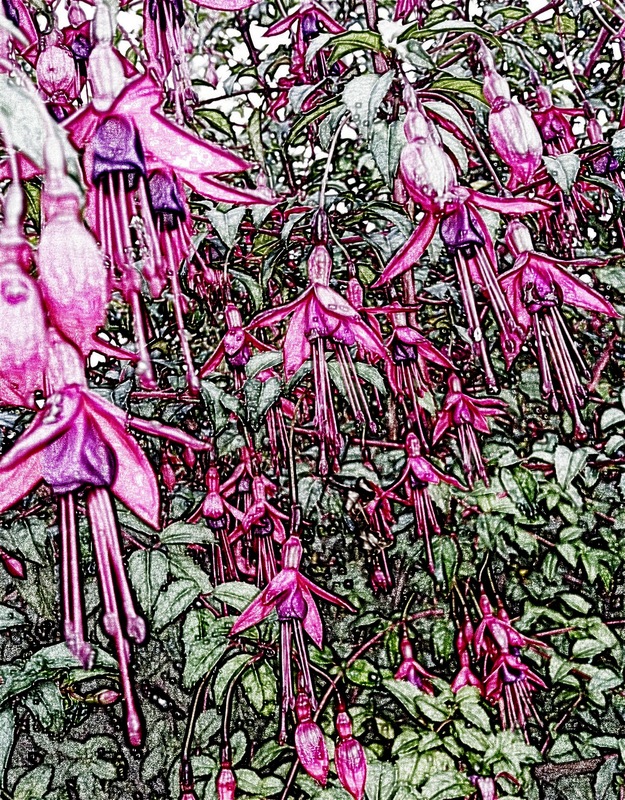 I love the drawn quality of this shot of Fuchsia edited in the uSketch app and finished off in the Painteresque app to add some background depth. Doesn’t this photograph look like a William Morris print? I’m thrilled with the result of combining the uSketch app and the SpacePaint app together. The first app created the pale sketch and the second added the halo. I took the original shot in Park Guell in Barcelona where the shrubs were magnificent. 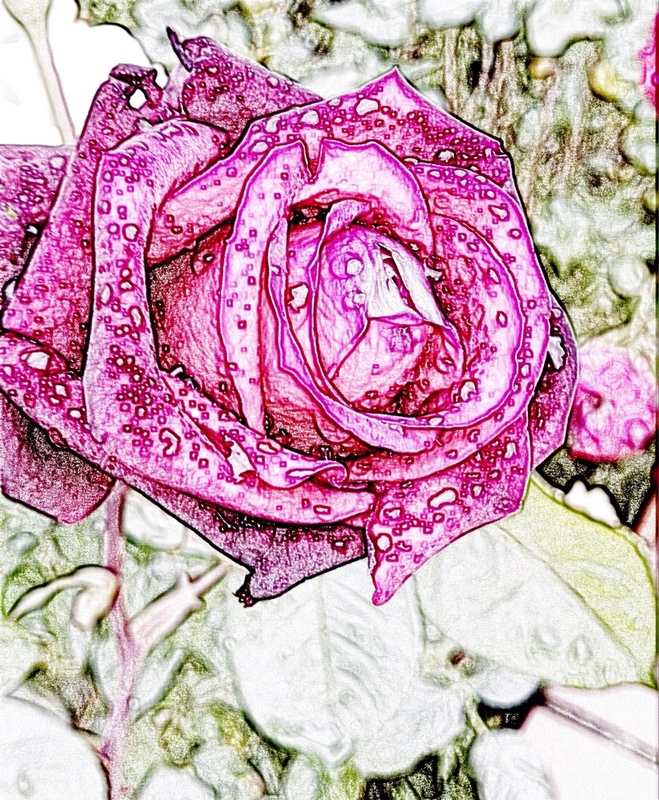 This is the same Rose that I featured in the post on 8 August but I downloaded a new app yesterday called uSketch which I really like. I tried using the WordPress app on my ipad to write and publish a post from but I pressed the button too soon!!! and ended up coming to the computer to add the date and some words. Hope you like the picture, let me know.